The 'Triple Crown' was a title reserved only for the best thoroughbreds in horse racing. It has been over 30 years since a horse has won this title in the US. With the Iron Horses of today, such glory is not so exclusive. 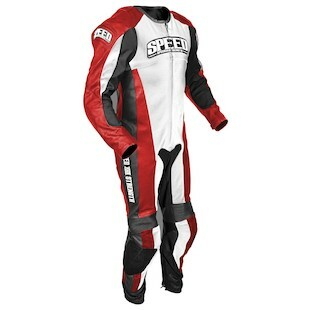 You, too, can have your very own Speed and Strength Triple Crown Race Suit! Constructed from premium cowhide leather and completed with High Impact Safety Seams (H.I.S.S. ), the Triple Crown will blow your preconceptions out of the water at a sub-$600 price point. 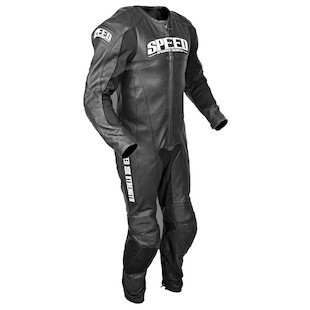 Using S&S original "Vault" CE armor and a dual density spine protector, this race suit is race-ready with no breeding required. The careful placement of Schoeller Keprotec allows mobility where it counts and the low restriction collar frees you to look around without catching your helmet on the suit. Available in Black, Black/White, Red, and Blue, the Triple Crown provides easy entry to your local asphalt arena.